Tomorrow sees the launch of Meadham Kirchhoff's 4th collaboration with Topshop. This Glam Rock influenced collection was created to dress imaginary girl band The Cherrys, although to me, there seems to be a strong Anime element to the clothing. True to the duo's style, the pieces range from outlandish to cute, there are some items that make me think eww... and some items that I adore! I'm sure it will all sell out nonetheless. It's great that the collection has such a wide price range as there is something for everyone - from £8 socks to a £750 coat! The fluffy bag is my favourite. 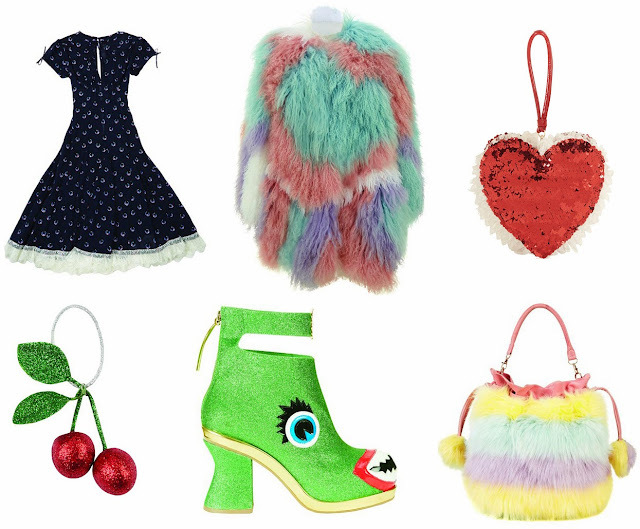 What do you think of Meadham Kirchhoff's latest Topshop collection?